Looking for a new website for your guest house? 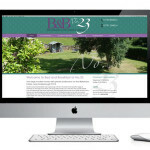 We can create you a new website and bespoke WordPress theme four your guest house/B&B or hotel. Our websites include everything you need to maintain the content yourself quickly and easily online. Not only do we create bespoke themes for your guest house/B&B using WordPress we’ll also help you achieve a high page ranking in the search engines for your location. Currently all our guest houses are listed on page 1 for their geographic location, so why wouldn’t you turn to Four Degrees West? If you’re looking for a new website for your guest house then you’ll need a company that has several years experience in the hospitality industry, and you’ll probably want to make sure you’re working with really nice people too, that’s why people turn to Four Degrees West. We’ll design a new theme for your guest house website, show you how to use WordPress, optimise your website for search engines such as Google and Bing and we’ll even exchange links with other relevant websites (this helps give you a boost in Google). Furthermore, your theme will be responsive, responsive design means the website will change to fit mobile and tablet devices, this ensures that your website will be presented beautifully on the growing number of alternative devices such as Android and iPhone being used to view websites around the world.